With a view to expanding the value proposition of its additive manufacturing solutions, Stratasys, a global leader in additive technology solutions, introduced a new software component called Jigs and Fixture for GrabCAD Print. Stratasys is seeking Beta customers for their latest software feature designed particularly to improve the Stratasys AM solution for the manufacture of jigs, fixtures, and other manufacturing tooling. Stratasys FDM 3D printing solutions are widely used for tooling applications across a multitude of industries. Leading companies recommend the solutions offered by Stratasys to accelerate the production of perfect fitting jigs & fixtures. This has helped companies reduce costs, reducing lead times and increase production flexibility. The new software will help improve the overall industry efficiency. GrabCAD Print is the software solution offered by Stratasys. It is an easy-to-use and intuitive software which allows for easy preparing & monitoring of print jobs. It is able to read CAD files natively and so it eliminates the need to convert the CAD files to an STL file. This also avoids the chances of information being lost during the conversion process. 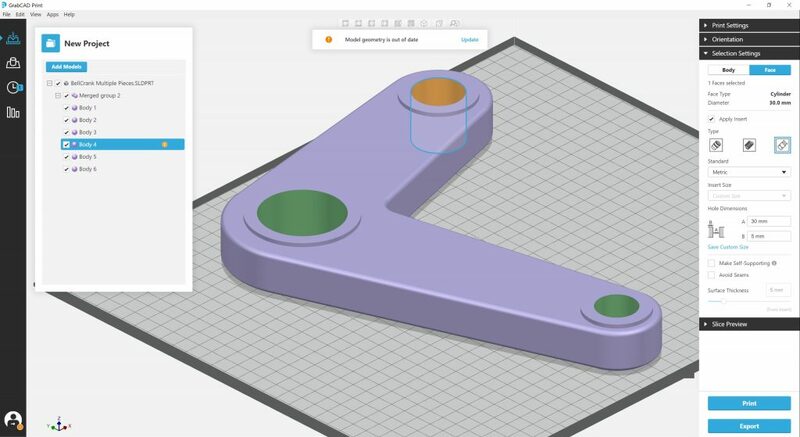 Stratasys’ new software component is offered through GrabCAD Print. It automates several complicated and time-consuming processes. It also eliminates the need for multiple programs. This new solution streamlines the toolpath panning process. The tooling designers can now seamlessly design, prepare and print the part directly from the Jigs and Fixture for GrabCAD Print. A user-friendly approach from CAD designing to 3D printing. Simplifies the workflow by allowing easy the CAD designing of Jigs and Fixtures by automating several complicated and time-consuming processes. Eliminates the need for multiple software within the workflow. Reduces the lead times and increases production flexibility. Eliminates the need for additional software to convert the files to STL format. This avoids the chances of loss of data during the conversion process. Enables tooling designers to easily leverage the design freedom potential in FDM technology. Currently, the software is in the Beta stage and Stratasys is seeking Beta customers. Those users who want to participate in the beta software program can contact Stratasys Here.